This project researches on the use of ICT for informal learning on the field. To this end, the project studies the use of recent geolocation mobile technologies for educational purposes. The project is developing a software platform that enables the definition of a set of educational activities. Each educational activity includes one or more Points Of Interest (POIs). A mobile application guides the students throughout the POIs, gives them information about the visited POIs, and enables the activity organizer to track and assess the activities. EDUMOTION is conceived in the Seventh Framework Programme (FP7), funded by the European Commission to support and encourage research in the European Research Area. It will last for seven years from 2007 until 2013. The Specific Programmes constitute the four major building blocks of FP7: Cooperation, Ideas, People and Capacities. EDUMOTION will be executed as part of the Capacities Programme, precisely, as a Research for the benefit of SMEs. In general, location-based educational experiences offer the potential for interactive, real-time ways of learning which take place outside the conventional lecture hall, laboratory or classroom. Education through field experience, combines knowledge and real life, learning and interaction, and makes EDUMOTION a strong asset for significant progress. The system relies on a number of technologies (mobile devices, wireless communications networks, location-enabling technologies and collaborative social networking) and it deals with several challenges (the inherent uncertainty of location technologies, the discontinuity of connection, the interoperability of communications networks and location technologies, social and organization challenges such as privacy and collaborative learning). The need to equip European citizens with new skills is recognized in all the most recent EC documents (Europe 2020 Strategy or New Skills for New Jobs communication). While ICT in education is a reality in modern educational institutions, for instance by using LMSs (Learning Management Systems), the use of ICT for educational purposes in informal settings is still at an initial stage. In this context, the main aim of the project is to support the enhancement of technology use in lifelong learning and for the development of skills necessary to live in the society of the near future. In addition, EDUMOTION considers mobility as an opportunity to increase and improve the learning experience. Thus, EDUMOTION intends to investigate new ways in which information technologies can mediate the learner’s experience through informal settings in urban spaces, and how they can interact with the city through these novel channels. In general, outdoors educational experiences offer the potential for new forms of learning that take place outside the conventional lecture hall, laboratory or classroom. Users carry mobile devices with sensors that capture information from their environment, including their location, and this is used to deliver them an experience that changes according to where they are and what they are doing. 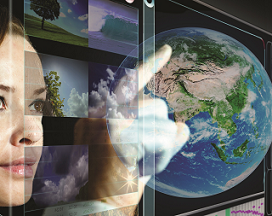 Most people are using this type of technology to interact with places, information and people. EDUMOTION is proposing to use this environment for an improved learning experience, applying social networks, user-generated content and location-based services. The EDUMOTION Consortium integrates five technology centres from all Europe: UNIR, Ascamm-CTAE, Scienter, CityNomadi and KnowledgeFox Gmbh. Requirements collection and a literature review concerning ICT applied to education with special focus on location-based activities. 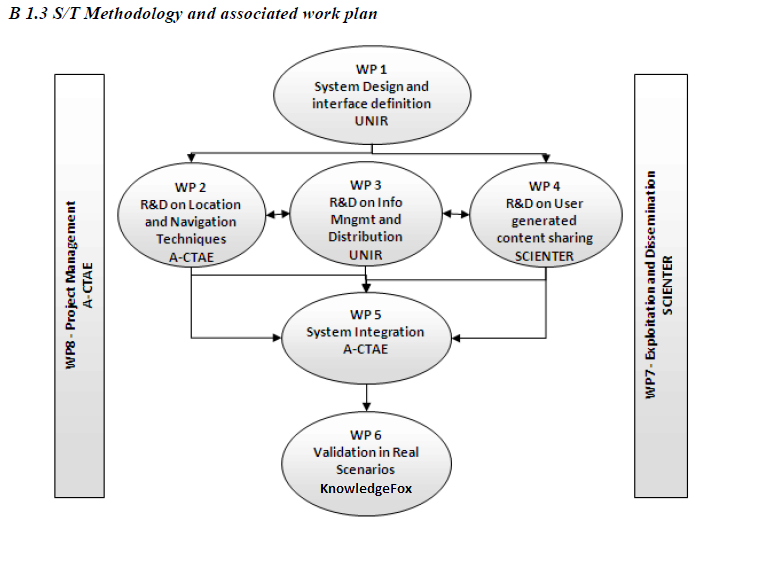 This information will be used to set the basis for the system design, defining at high level the different subsystems and their interfaces (WP1). 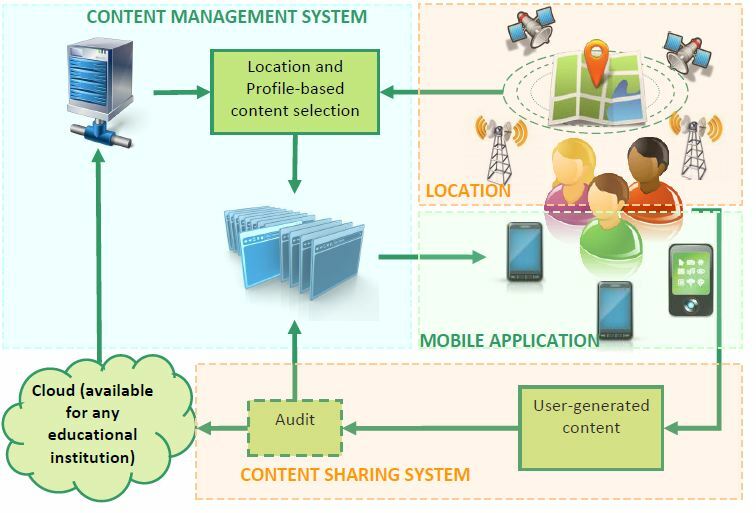 The research will be conducted on location and navigation techniques (WP2), a model to share user-generated content (WP4) and an advanced educational-oriented content management system (WP3) will be developed. The project will continue with the integration of the system (WP5) according to the results obtained in the research WPs. Validation of the system in the most possible realistic scenario (WP6), for that purpose the partners will get in touch with educational or cultural entities to set two pilot services to be tested by volunteer users.